Last year the death of flash was well and truly in motion as Google Chrome began blocking all flash content. There’s no doubt flash played a vital role in the past however in recent years there’s been numerous flaws in both performance and security. Change was on the horizon and tech giants such as Apple and Google began shifting away from Flash. Even Adobe themselves could see the end in sight as they began recommending that people stop using Flash. On Tuesday, Adobe stated that it will end the updating and distributing of flash technology for playing multimedia on the web by 2020. Adobe will collaborate with several of their technology partners such as Apple, Facebook, Microsoft and Mozilla in order to provide support and updates to the software before the ‘end-of-life’ Flash. On Tuesday’s blog post, Adobe claimed they would ‘encourage content creators to migrate any existing Flash content to these new open formats’. We at 3D Issue were quick to spot that Flash was entering its final days and acted promptly. 3D Issue released version 8 of our digital magazine software which introduced a totally flash free digital publishing solution. At the time of the release, it was in fact the only tool on the market that offered the same engaging, rich media, online magazine experience in HTML5 that readers had come to expect with flash. We are passionate about bringing the very best publishing and marketing tools to our customers and by using pure HTML5. Flash was often criticised for its insecurities which was well spotted and documented by one person in particular. The late Apple CEO, Steve Jobs, removed Adobe Flash from the iPhone in 2010 due to it being unreliable and insecure. Jobs described flash products as being 100% proprietary, very much a closed system, poorly performed on mobile devices and designed for PCs using mice, not for touch screens using fingers. 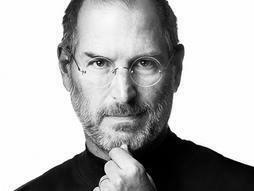 Jobs also blamed Flash’s security issues as the primary reason Apple’s Mac computers crash. All of which were true and it seems now Adobe has 100% conceded giving the end of 2020 as its ‘end-of-life’ date. As more and more people began using Flash, hackers increasingly discovered ways to expose weaknesses in the technology and break into people’s computers. 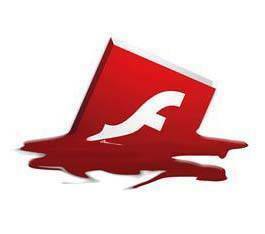 The ongoing issue with bugs and further hacks showed the computing world the shortcomings of Adobe Flash. Adobe will begin working with tech giants such as Apple, Facebook, Microsoft, and Mozilla in an effort to provide support for and updates to the software until the ‘end-of-life’ date. Microsoft aims to disable Flash by default in Internet Explorer and Edge in mid to late 2019 and plans to fully remove Flash from all supported versions of Windows by 2020. Google will continue removing Flash over the next few years, Mozilla claim Firefox users will be able to choose which websites are able to run Flash next month and allow Firefox Extended Support Release (ESR) users to keep using Flash until the end of 2020. Apple is also behind the ‘end-of-life’ Flash by 2020 and Safari at present requires clear approval on each website even when Mac users opt to install Flash. 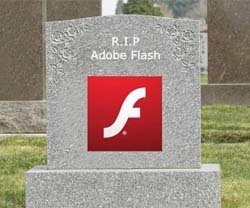 There will be few people in the world of technology mourning the death of Flash. The end of flash will in fact make for a safer, quicker, and efficient web. The transition should be smooth and between now and 2020 there should be little need to discover how to cope with the change. We haven’t seen the Flash player plug-in on iOS since 2010 or in Android since 2012. There’s no need to worry about the transition on desktops either, Google has already blocked Flash ads from automatically running since 2015. Mozilla Firefox began blocking Flash components last year while Microsoft Edge decided upon click-to-run towards the end of 2016. The year 2020 will see the end of adobe Flash however it’s death has been an ongoing process. Steve Jobs was quick to spot its flaws and was right that it wasn’t needed on your phone. It’s taken some time but now the desktop has finally caught up and we’ve come to realise that it’s no longer needed here either. “Adobe will also remain at the forefront of leading the development of new web standards and actively participate in their advancement. This includes continuing to contribute to the HTML5 standard and participating in the WebAssembly Community Group. And we’ll continue to provide best in class animation and video tools such as Animate CC, the premier web animation tool for developing HTML5 content, and Premiere Pro CC”.